Most people don’t know that the Web we have today is not its original design, but a simplified (or “dumbed down”) version that Tim Berners-Lee created because it was easier to implement than internet pioneer Ted Nelson‘s original 1965 design. The compromising design Berners-Lee released on the Internet in 1991 made it easier for programmers to implement, but had Nelson’s original design been fully implemented instead, Web browsers would display the context of each quotation, making the Internet more resistant to certain types of “Fake News”. Sarah Palin: I can see Russia from my House (2008). I conclude by describing 3 ways technologists could work with journalists to develop technology that could prevent this type of story mutation from occurring and build greater trust in media. In the 1980s, Coca-Cola executives were shocked to learn that what Pepsi advertisements said was true — in a random taste test, people preferred Pepsi over Coke. Coca-Cola executives responded with a massive retooling effort, resulting in a product dubbed “New Coke”. “New Coke” turned out to be a major flop. What we know in hindsight is that the way taste-tests are done is biased — in small amounts (sips) people prefer the sweeter drink, but in larger amounts (a 12 ounce can), people preferred the original Coca-Cola formula. This is a phenomenon that happens all the time — An effort is made to quantify success. The metric chosen is imperfect; yet people exert a lot of effort to maximize or minimize the metric, even if flaws in the metric are known. I’ve talked to students who don’t understand the concepts they are studying, but simply memorize the “correct answers” because they know that is how they will be evaluated. Teachers teach to the test; and students study to the test. In a similar way, the author of an Atlantic article describes a smartphone app called Shazam. A “Shazam” is equivalent to a google search for music; but the music industry treats search traffic for a song as if it were the same as a Facebook “like”. So, what meaning does the Shazam metric really convey? Quality? Novelty? Attention? The music industry has made “Shazam” the new “test”, and by “teaching to the test” the direction of the music industry has shifted. The industry is now more data-driven, but the result is more repetitious music with predictable chord progressions — a sort of “comfort food” (6 min). So like “New Coke”, does our our crude big-data analysis result in better music, or are we just making it simpler and “sweeter”? 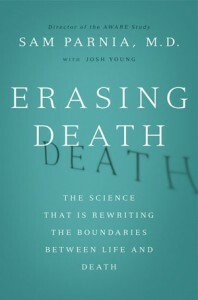 A new book by a doctor who specializes in resuscitation suggests that there is a common experience of dying that is consistent across cultures. To be considered “dead”, one’s heart has to stop beating. This stops brain activity, but it does not mean the the brain cells have died. In fact, it is possible for a body to be chilled, and the person to be resuscitated several hours later. Upon regaining consciousness, many patients have no memory; but others report seeing a bright light and feeling a very loving presence. They recall having their life reviewed with them and feeling pain as they recall times when they caused others pain. Some patients report being inspired to try to do better with their new lives. So perhaps instead of giving our prisoners a lethal injection, we could give them “death therapy”. I can imagine that were this resuscitation perfected, so that the risk that patients stay dead is reduced, many wealthy people would pay for such an experience. “Wikipedia: [B]ack-to-back life sentences are two or more consecutive life sentences given to a felon. This penalty is typically used to prevent the felon from ever getting released from prison.